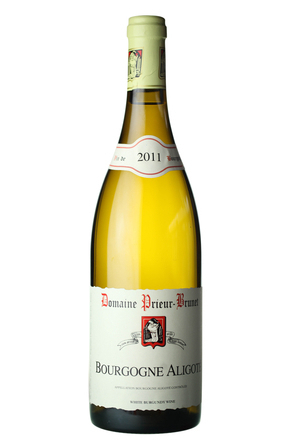 Bourgogne Aligoté is an Appellation d'origine contrôlée (AOC) white wine produced from the Aligoté grape variety in the France’s Burgundy region. The wine tends to be light and acidic in style and usually unoaked as the grape does not age well. Notes of apples, lemons and herbal notes are characteristic. Established in 1937, Bourgogne Aligoté is a regional AOC, meaning that the wines can be produced across the whole Burgundy region. 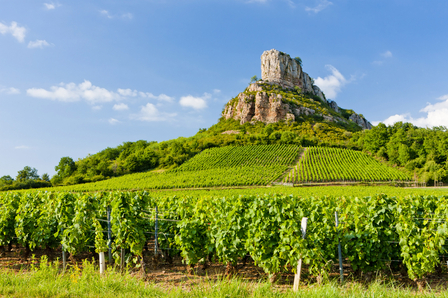 (Bourgogne is the French name for Burgundy and an all- encompassing appellation title for the Burgundy wine region). However, in 1998 a delimited AOC was introduced for Aligoté-based wines from Bouzeron where the quality is regarded as being particularly high with yields restricted to 45 hl/ha compared to 60 hl/ha for the rest of Bourgogne Aligoté. Previously wines from the village were labelled Bourgogne Aligoté Bouzeron but now are simply called 'Bouzeron'. The Aligoté grape is also blended with other regional varietals to make Burgundy's sparkling wine, Crémant de Bourgogne. In the Burgundy region Bourgogne Aligoté is traditionally drunk mixed with the locally produced crème de cassis in an aperitif known as 'Kir'. The Aligoté grape is a variety particularly associated with the Burgundy region and production is decreasing as growers switch to Chardonnay. Tellingly the Appellation allows up to 15% Chardonnay to be blended into Bourgogne Aligoté wine and Aligoté grapes now tend to be planted in poorer vineyards at the top and bottom of slopes. The variety's tolerance to cold weather and its early ripening has helped its survival as part of the mix of crops plated by small holders in Burgundy. Aligoté is also widely planted in Eastern Europe, in particularly Ukraine, Bulgaria, Romania, Moldova and in Russia were it is used to make sparkling wines. Small quantities of the grape are also grown in Australia, Washington State and California. Results of DNA testing conclude that Aligoté is a cross of Pinot noir and Gouais blanc, which is consistent with its perceived origins in Burgundy or nearby regions of eastern France. Outside the Burgundy region the Aligoté grape is also called Blanc de Troyes, Vert blanc, Chaudenet gris, and Plant gris.